Stitch! Patch! Reveal! 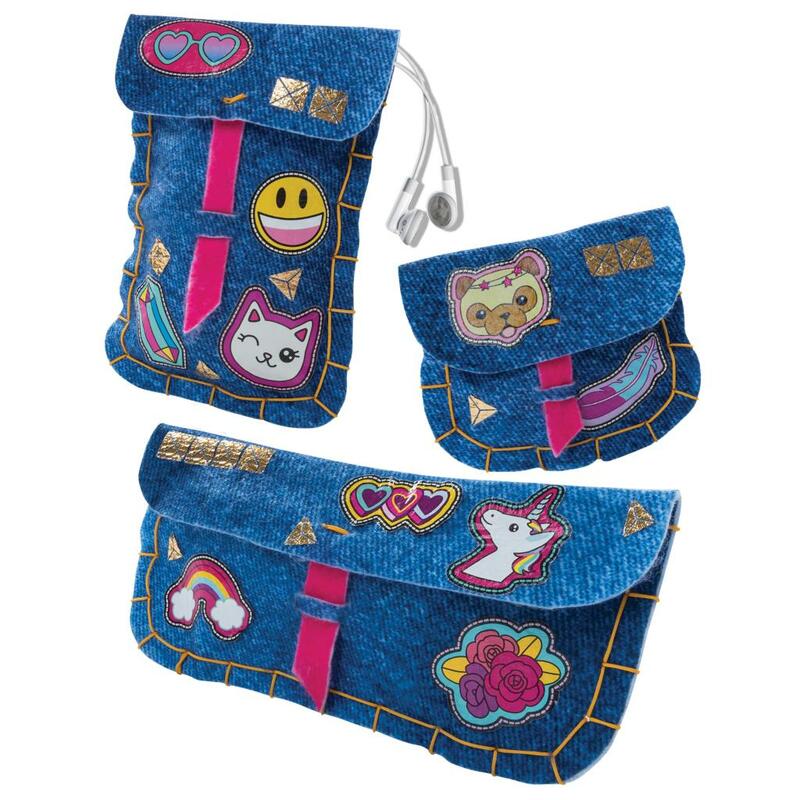 Create super cute, stylish fashion pouches using the Cool Maker Fashion Pouches kit! With Cool Maker and its special fabric and needle, it’s never been sew easy. First time sewers will enjoy instant encouragement because they can do it themselves. 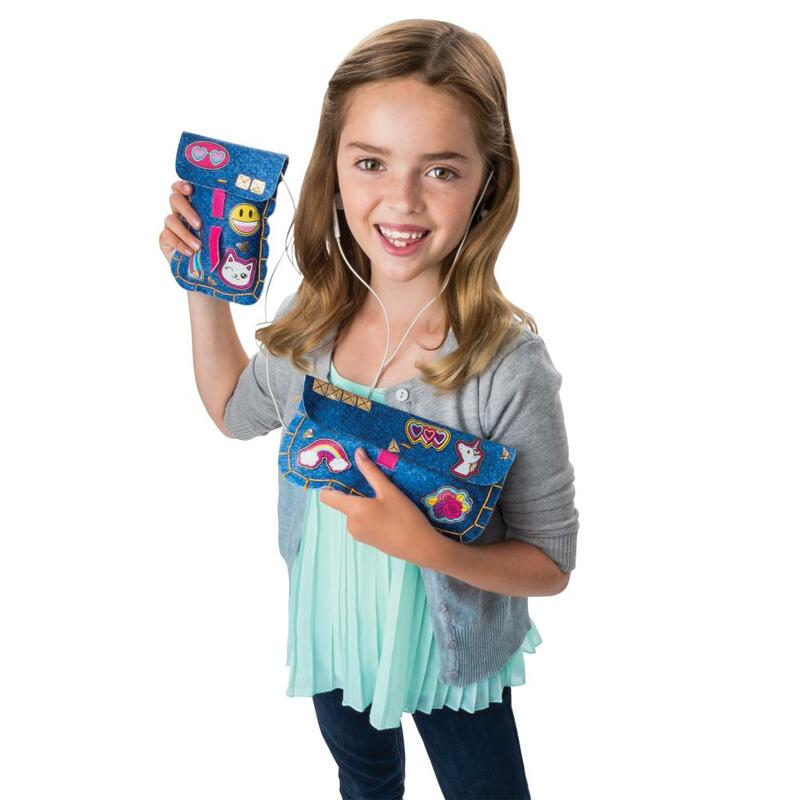 With the Cool Maker Fashion Pouches kit, kids can easily create and decorate 3 cool pouches! Personalize your creations with 20 stylish patches and 3 sheets of metallic decos! Stitch, patch, and reveal with Cool Maker! Cool Maker sewing is simple and safe! Use the included sewing needle and string to stitch together 3 cool pouches! The Fashion Pouch Kit is an all-in-one set that has everything you need to create stylish pouches! No Sew N’ Style Sewing Machine necessary. Personalize your designs with water transfer patches and metallic decos! The Cool Maker Fashion Pouches kit is for kids aged 6+. No batteries required.